Roguelike games are often defined by their intense difficulty, where permanent death is a staple. This is coupled with dungeon crawling and procedurally-generated levels. There is some differing opinion as to its other elements, where some point to turn-based gameplay, but the definition itself often varies from individual to individual. 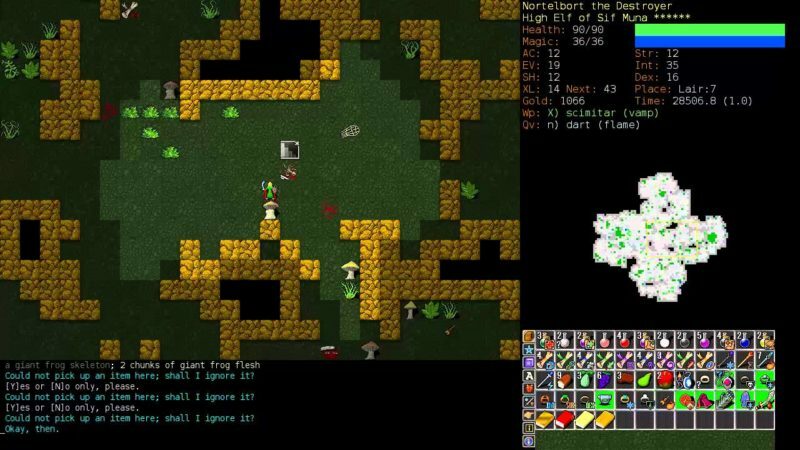 This article will outline the best roguelike games today, which will allow you to figure out if it fits your gaming tastes. Sales drive all action in the gaming industry, and as a result, some games receive remakes. Such is the case with The Binding of Isaac: Rebirth. 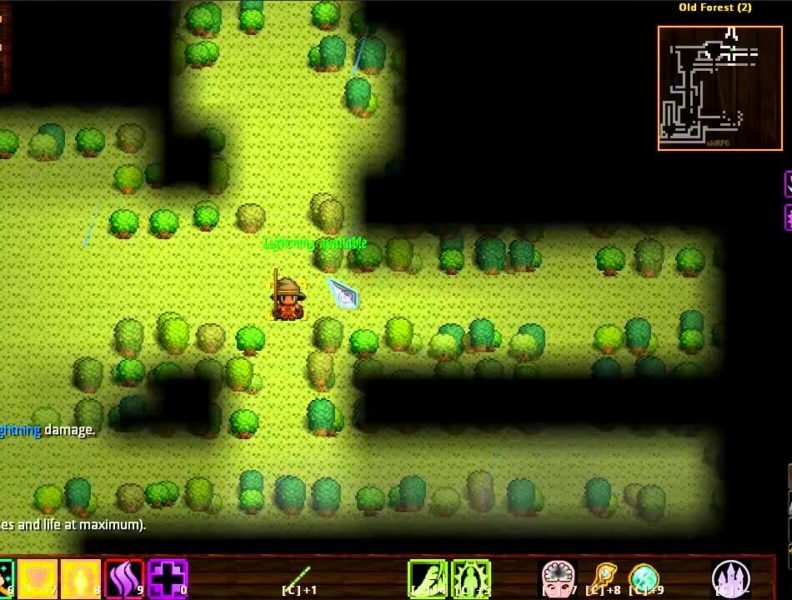 Originally released in 2011 as a Flash game, Rebirth is the remake supporting better sprites and an overhauled soundtrack. While roguelikes certainly have narratives, it is the narrative that drives this game. Being able to explore serious issues such as child abuse can be tricky for any developer, but Rebirth explores these issues while providing a true sense of satisfaction at the game’s end. It is also because of this willingness that it stands out above others. FTL is an incredibly difficult game and it is because it embraces this difficulty that it is such a memorable experience. What is truly remarkable about roguelike games is the sheer variety in design between any two games. 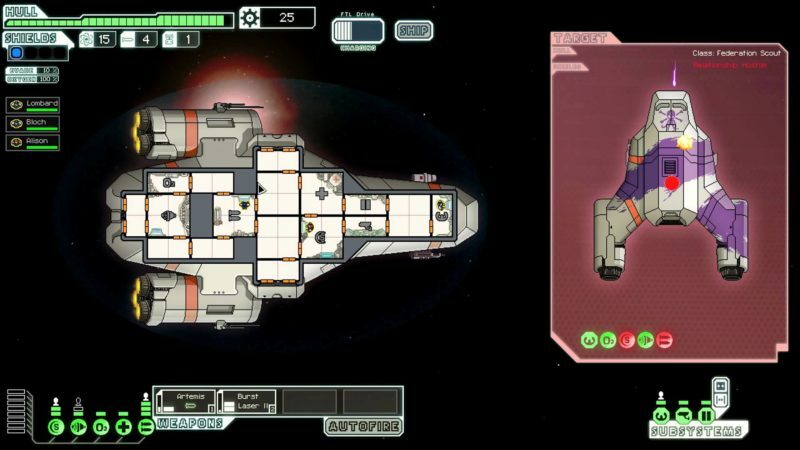 FTL attempts to use a space setting and in particular, complete control over one ship. This may seem daunting at first, but as the obstacles are random and unpredictable, someone never truly knows what will be coming his or her way. It is that fear of the unknown that drives the player to make what appear to be well-informed adjustments to the ship, but if a single element goes awry, it will spell doom. Emerging victorious with your ship in hand at the end is what makes this game succeed. Next on the list of best roguelike games is Crypt of the NecroDancer. As its name might suggest, this game combines the brutality of dungeon crawling with the beats of a rhythm game, where you must dance your way out of the crypt. This might sound bizarre, and it is. However, all actions are tied to the music in the game and when that is combined with procedurally-generated levels; you must be more than alert at all times. Crypt of the NecroDancer is arguably the strangest of the titles, and by embracing its strange premise, it carves its own niche within the roguelike genre. 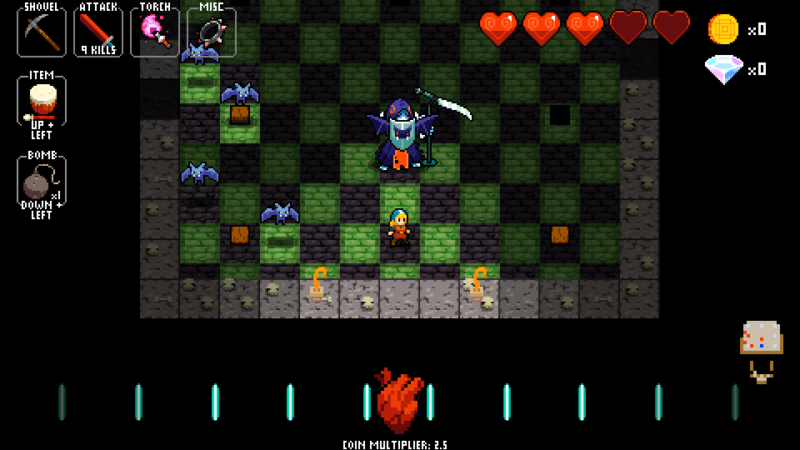 Roguelike games and video games in general, often have defined protagonists. This is not so in Caves of Qud, where creating your character is just as important as the journey itself. In fact, there is incredible variety in the character creation aspect of Caves of Qud where you can specifically allocate every single stat point and choose between True Kin or Mutants. Each has its own unique advantages, but the true highlight is the character creation directly impacting how you interact with the NPCs in the game. The game does a remarkable job of conveying these interactions with its well written script. These elements come together to create a strong narrative experience defined by a character creation tool that is difficult to define itself. Sometimes familiarity strikes a chord with players that make them gravitate towards a particular experience. Such is the case with Dungeon Crawl Stone Soup which makes use of all the familiar trappings of a typical fantasy setting. This is where you must enter a randomly created dungeon and battle your way against monsters in pursuit of an amulet. It may seem formulaic, but that does not mean meaningful systems such as character creation and battle strategy are not at play. As to be expected of a roguelike, this game is notoriously difficult, especially when not only levels are randomized, but magic items as well. 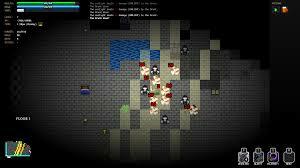 Be careful not to ignore Dungeon Crawl Stone Soup because of its familiarity as it will push your limits and truly exemplify the meaning of roguelike. Despite being characterized by high difficulty and procedurally-generated levels, there is an alarming lack of accessibility for newcomers in roguelikes. Dungeons of Dredmor accounts for such players by having the option to turn off permanent death and reload from save points. The setting itself is standard fare, being a case of wandering through a dungeon and fighting monsters. Instead of choosing specific stats to allocate points towards, there is a wide selection of abilities available, from which you must only choose a few. This is a welcome departure from the usual take on the genre. It is the accessibility combined with an interesting take on character traits that propels this game forward. When the Souls franchise reached peak popularity following the release of Dark Souls in 2011, many people flocked to it given how the story was told through lore in place of lengthy explanations. Tales of Maj’Eyal takes a similar approach by spreading information across lore entries that can be found. Furthermore, Tales of Maj’Eyal has a single mechanic that differentiates it from other roguelikes: the transmogrification chest. Typically, you will be hampered by the items you pick up because of limited inventory space. This game accounts for that in providing a chest after defeating a particular boss which acts as an additional inventory where items are sent after being found. This system is a godsend for all players and combined with an interesting lore, this is one title no one should miss. 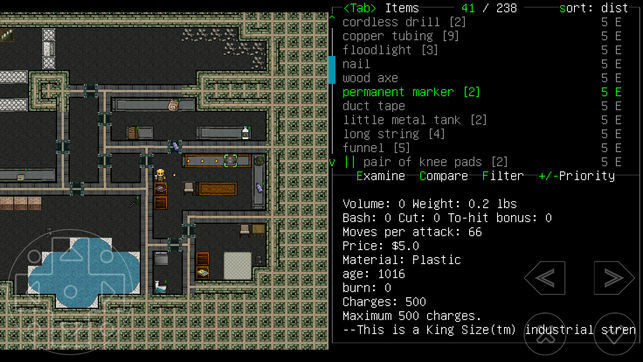 Roguelikes can have any number of different elements to attract players, and one that is often overlooked is premise and setting. Golden Krone Hotel sets itself apart from the fantasy setting of other games by being entirely centered on vampires. The game begins innocently enough, with the player controlling a human set out to hunt vampires. However, this is turned on its head because of a vampire meter that you must watch at all times. If the player succumbs to vampirism, the mechanics of the game change and those aspects such as sunlight that did not harm you before, can now mean certain death. This twist solidifies Golden Krone Hotel as a unique and interesting experience that should be played by all fans of roguelike games. The roguelike genre is heavily dominated by western developers, so much so, that it is difficult to think of, yet alone find, Japanese games that fit inside this genre. Mystery Dungeon: Shiren the Wanderer is one such game relying on many of the staples of roguelikes such as permanent death and randomly generated levels. Interestingly enough, this particular game is a DS port of what was originally an SNES title. While the story is practically nonexistent, this game breathes fresh air into Japanese RPGs, which often rely heavily on the narrative element. 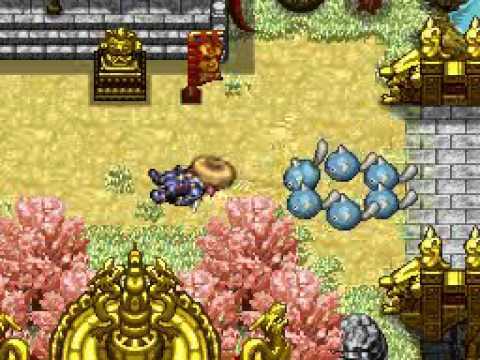 By focusing on the gameplay and pushing the player to make strategic choices every step of the way, Shiren the Wanderer is one of the best roguelike games. Cataclysm: Dark Days Ahead is not a game that reinvents the wheel with its mechanics. While it does use a zombie setting, which is not all that common with roguelikes, it relies on systems you may very well already be familiar with because of other games. It uses a stat attribution system with its main character and it also pushes you through procedurally-generated levels. However, it successfully counteracts this by adding different wrinkles such as sacrificing allocation in favor of a background for the young girl you play as which will be the determining factor for your condition or starting location. Like other games, there is an incredible amount of variation between any two playthroughs considering how different the main character’s stats can be distributed alongside items being randomly placed. While Cataclysm may not make too many waves, it makes up for it by simply being a well-realized video game. What Are Your Picks For The Best Roguelike Games? Permanent death and dungeon crawling are not for everyone. They can be large barriers of entry for people not already familiar with the genre. However, if you manage to sink your teeth into roguelike games, there are many different experiences that will stand out. Within this particular genre, there is a lot of variation between games and that freedom is a large draw. Roguelikes always have a place in the industry, no matter the time period, and any game included in this list will prove exactly why. So what are your favorite roguelike games? Are they on this list? If not, do leave your comments below on what you think should have been included.